This SAS customer favourite is your go-to sandal. Three adjustable buckles provide a customised fit, while a plush comfort insole and shock-absorbing sole keep you on your feet all day. 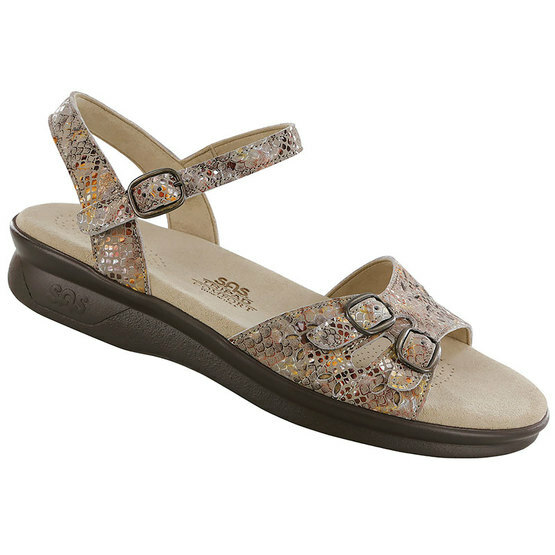 The lined leather ankle strap adds stability with each step.